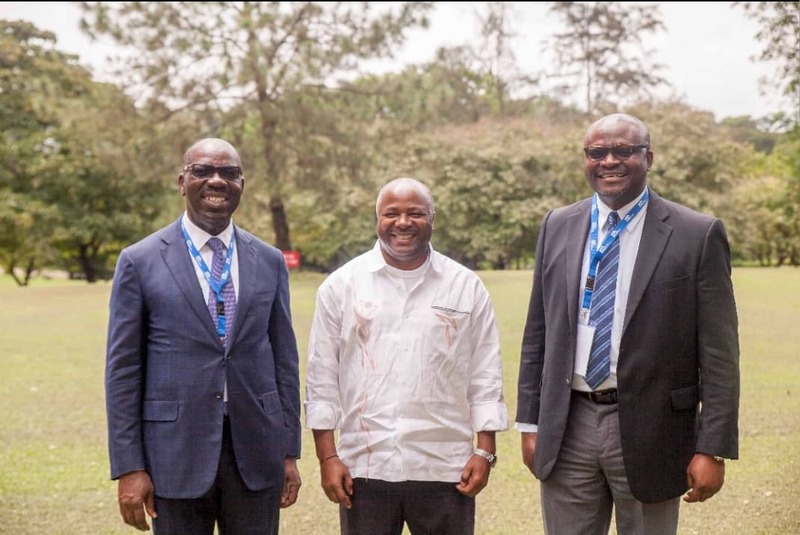 The Edo State Government and the International Institute of Tropical Agriculture (IITA), last week agreed to join forces to bring about transformational change in cassava, as the oil-rich state embarks on reforms to diversify its economy. Edo State Governor, Godwin Obaseki, revealed his administration’s plan to work with IITA after he gave a speech at the international conference on Water-Energy-Food Systems (WEFS) in Sub-Saharan Africa, being organised by the Pennsylvania State University in collaboration with IITA and the University of Ibadan, in IITA-Ibadan campus. In a meeting with IITA Director General, Dr Nteranya Sanginga; Governor Obaseki said his administration’s vision was to establish a cassava production zone of at least 50,000 hectares where cassava will be produced and processed with the active participation of smallholder farmers and the private sector. Though the focus will be on cassava, the state is looking beyond cassava to other crops that Edo state has comparative advantage. 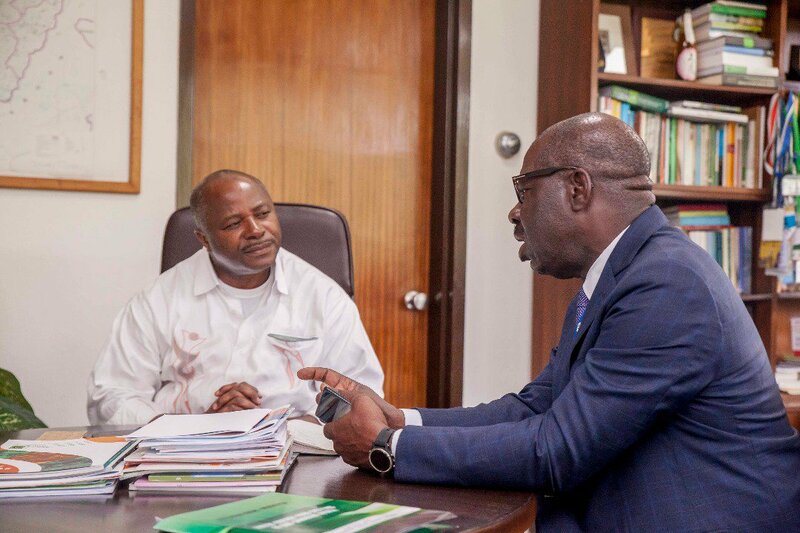 Edo State Governor Godwin Obaseki meeting with IITA Director General Dr. Nteranya Sanginga last week, June 27. “We would want IITA to give us a plan that is actionable,” Governor Obaseki said. Grown by over 3.3 million farmers in Nigeria, cassava has transformed from a food security crop to a cash crop in Nigeria, as most industrial companies are seeking after the root crop as a source of raw material in confectionary, brewery and pharmaceuticals. Dr Sanginga said the use of cassava today transcend gari—a grated and roasted form of cassava that is a source of food to millions of people in Africa. “Today, companies are coming to IITA and asking us how we can support them in setting cassava farm as a source of raw material,” Dr Sanginga said. Located in the oil-rich delta of Nigeria, Edo state is endowed in both agriculture and oil resources. However, like other parts of Nigeria, the state is confronted with unemployed youths as employment opportunities in the government thins out. Governor Obaseki said his plan is to create wealth, food security, and jobs from agriculture and to put the state on the path of prosperity. He said that his state’s approach to agriculture was to treat it as a business that would bring economic and sustainable development to the state.